On our way to the Macao International Fulldome Festival, Tanya Hill and I took the opportunity to visit the Hong Kong Space Museum. 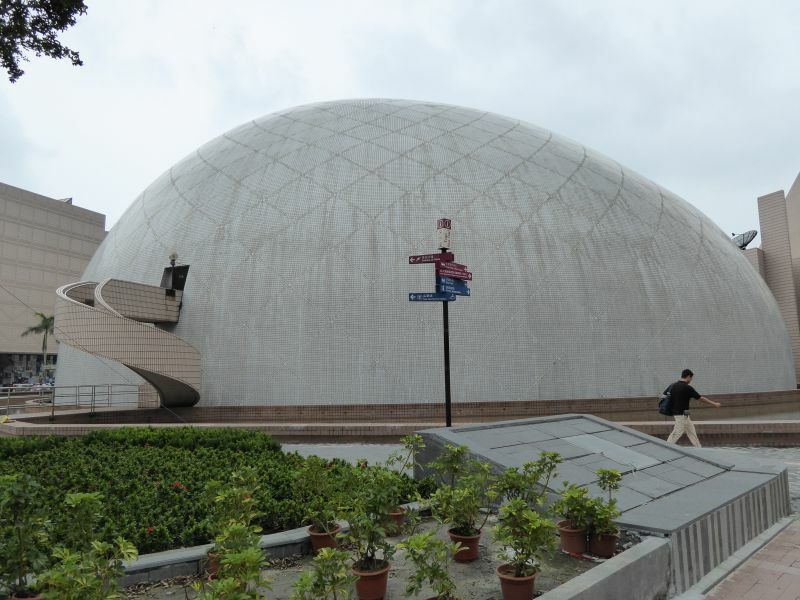 It is a terrific facility, a 23m dome, with 8K projection. We met with the new curator Robert Leung who re-joined the Museum in January, after spending 18 years at the Hong Kong Science Museum. Robert’s staff gave a very good demonstration of the system including all of it’s interactive capabalities. All of the staff we met were passionate about astronomy, enthusiastic, and very open to sharing information. We also toured their production studio, where they were able to show me some new software tools they are using, as well as Tanya and I showing them some of our own MV productions. It was a great opportunity for a cultural exchange. If you are ever in Hong Kong, then you must visit the Space Museum. This entry was posted in Uncategorized and tagged Hong Kong. Bookmark the permalink.